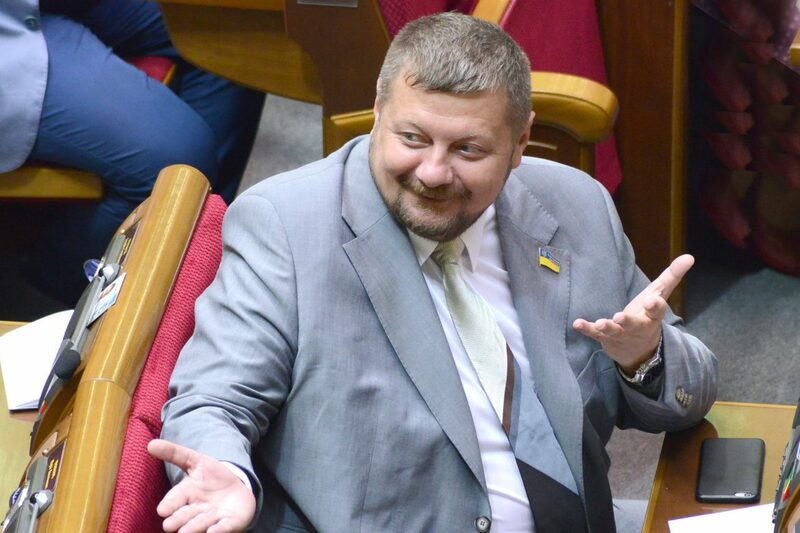 Ihor Mosiychuk is not a newbie in Ukrainian politics. He has been an assistant of Yuriy Tyma, Ukrainian MP from the second calling of Verkhovna Rada (1994-1998). Additionally, he is editor-in-chief of Vechirniy Vasylkiv region. Mosiychuk also participated in the _Ukrainian National Assembly – Ukrainian People's Self-Defence _far-right organisation and was a member of Ukraine's Social-Nationalist Party which was later reformed into Svoboda political party. He was involved in "the Vasylkiv terrorists" case in 2011— it is a plot of far-right activists to blow up a Lenin statue in Boryspil, a city near Kyiv. As a result, Mosiychuk was detained till February 2014. When Yanukovych was ousted out of the country, Mosiychuk was set free as "political prisoner," and the case was closed. In 2015 he has been accused of taking bribes and stripped of MP immunity. These charges, however, were dropped in 2016. Mosiychuk has been under protection of Ukraine's interior ministry. His bodyguard has been an officer of a special police force, Hromadskereported with reference to Serhiy Semochko, the Head of SBU branch in Kyiv an Kyiv oblast. SBU official, however, declined to explain why exactly Mosiychuk has been under protection. Kyiv's prosecution office has already sent an info request to the National police, but no answers were given at the moment. Homemade explosive device was attached to a moped parked near Mosiychuk's car. It was deliberately parked by an unknown person at about 21:50. Investigators have also found traces of electronic device, which might have been a car alarm. It is frequently used to trigger homemade explosives from distance. Espresso has already published surveillance feeds which show how the explosion happened. Additionally, Anton Herashchenko, Ukrainian MP, claimed that investigation has a longer version of the video which shows a potential suspect. Explosion happened when Mosiychuk was leaving the building of ** Espresso ** TV channel. Except for bodyguard, he was accompanied by Vitaliy Bala, Ukrainian political expert, a director of Situations Modeling Agency think-tank. They participated in the same programme at Espresso Both Mosiychuk and Bala are now in hospital, heavily wounded. Investigators consider explosion an attempt on Mosiychuk's life. Pavlo Kononenko, Kyiv's first deputy prosecutor, named three versions. The first one is that "Russian special forces tried to kill a Ukrainian MP." The second possible cause is "his political activities and civic engagement." Kononenko also assumed that there might have been personal reasons for someone to try to kill Mosiychuk. At the same time, the investigation also considers the possibility that Ukrainian MP was at the scene accidentally, while the explosion was aimed at someone from Espresso. Interior ministry blames Russia; Kremlin accused Ukraine of russophobia. Ivan Varchenko, a counselor to Ukraine's interior minister, claimedin a commentary for 112 Ukraine TV channel that Ramsan Kadyrov, the head of Chechnya republic in Russia, was interested in Mosiychuk's death. He noted that Kadyrov threatened to kill Mosiychuk in 2014. In his turn, Dmitriy Peskov, Kremlin spokesperson, dismissed all the theories which connect Russia to the explosion. "These accusations go not only against Kadyrov, but also against all the officials who sit in Moscow. Such rhetoric is another sign of russophobia which took over Ukraine and Kyiv in particular," Peskov argued.